StemRad Ltd. announced Sunday that it has raised $6 million in a Series C investment round led by investor Jeff Vinik, who is the owner and chairman of National Hockey League team Tampa Bay Lightning. StemRad develops a radiation-blocking vest for first responders, military personnel and civilians at risk of nuclear and radiological exposure. The company also develops protective vests for astronauts on deep-space missions. Oren Milstein, StemRad’s founder and CEO, said in a statement that the company will use the funding to expand sales and marketing efforts, as well as its manufacturing capabilities in the U.S. StemRad recently opened a U.S. subsidiary in Tampa, Florida. StemRad said the money will also be used to advance the company's research and development efforts, which are focused on lightweight vest designed to protect radiologists from X-Ray exposure. "This additional capital gives StemRad the resources to expand sales into new markets and to continue to innovate in order to become a leader throughout the entire spectrum of radiation protection including the nuclear, defense, space and medical industries," Mr. Milstein said. Founded in 2011 and headquartered in Tel Aviv, StemRad’s product is a personal wearable radiation protective equipment. The company’s flagship product is the 360 Gamma, which protects the user's pelvic bone marrow, a organ exceptionally sensitive to radiation. 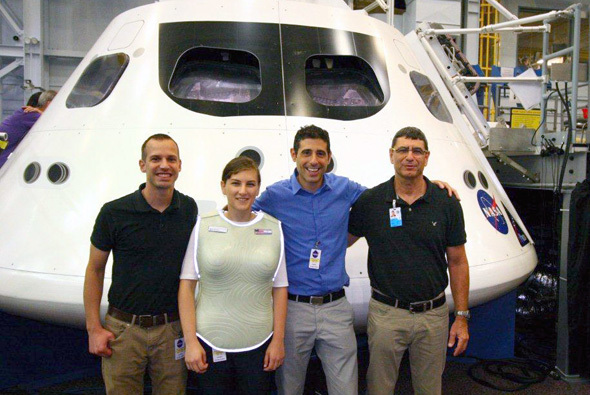 In 2015, StemRad partnered with American aerospace manufacturer Lockheed Martin, NASA's prime contractor for its deep space Orion capsule, to develop protection units for astronauts.